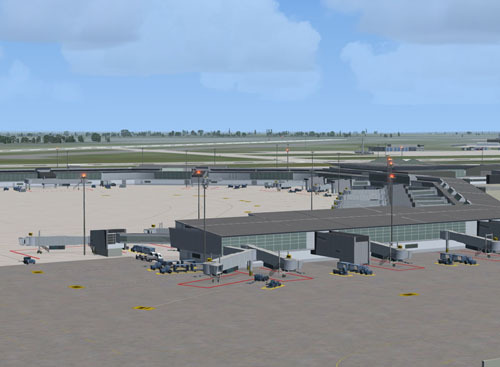 BluePrint Simulations is proud to present our first Canadian scenery, CYUL Montreal - Pierre Elliott Trudeau International Airport. 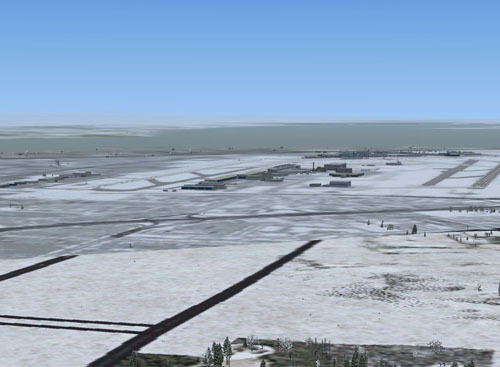 CYUL is the primary international airport in Quebec and the second busiest in Canada. With non-stop flights to every continent except Australia, it will surely remain a key component of the North American aviation network. Montreal - Trudeau, formerly known as Montreal - Dorval, was recently renamed to honor the Quebec-born former Canadian Prime Minister. The name change was the culmination of the major transformation that the airport has undergone over the last decade. The international areas located west of the main terminal building now consist of two new and modern concourses (or piers) and a new customs and immigration facility. The main terminal building has also undergone major renovations which included the addition of two glass-enclosed passenger check-in halls. The new additions allow natural light to brighten the entire facility. 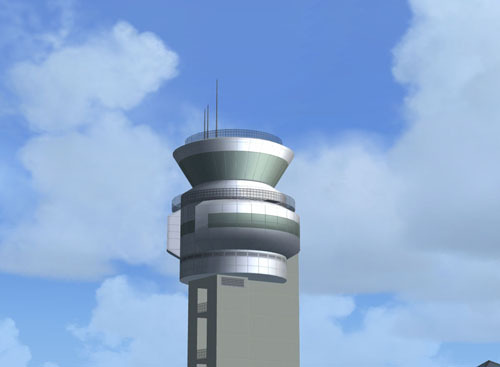 Ongoing improvements include a new first-class hotel that will become an important architectural component of the terminal complex and it is expected to offer numerous amenities to the traveling public. CYUL's passenger terminal consists of one central building and four piers. The Transborder pier serves all flights to and from the United States and is about five years old. The international pier is the newest and has been on operation for only two years. It was designed to serve primarily wide-body aircraft and is now ready to accommodate future A380 flights from Paris. The CDG-YUL route is slated to be the first for Air France's new flagship. This pier also serves as a hub for Air Transat's international operations. 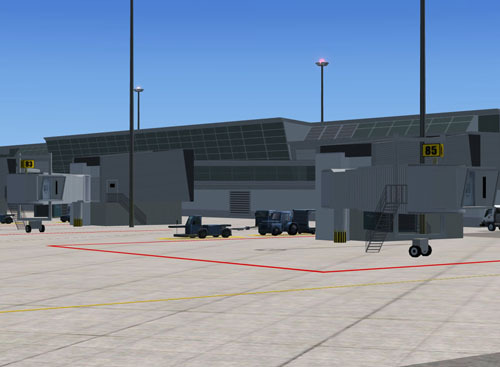 The domestic pier extends to the east of the main terminal and it is Air Canada's second largest hub. Finally, stripped if its international status and reduced to half its original size, the mid-field pier now serves as a commuter terminal. CYUL is also home to one of the world's leading aircraft manufacturers, Bombardier Ltd. In its Montreal facility, Bombardier assembles its full line of regional jets as well as some of the most advanced business aircraft in the market including the Global Express. One of Air Canada's largest maintenance facilities is also located at CYUL. It attracts aircraft in need of major modifications and maintenance checks from all over the world. 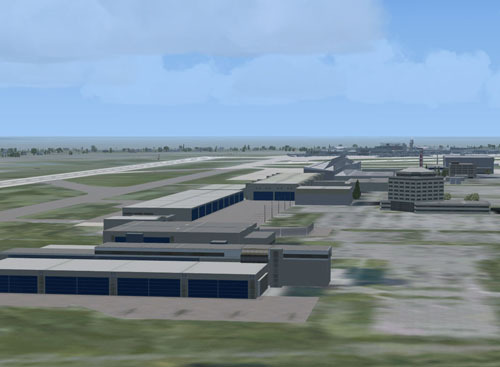 The two facilities occupy the airport's infield and constitute an impressive complex of hangars and buildings. Our rendition of CYUL includes all the structures mentioned above with the usual level of detail and accuracy that you have come to expect from BluePrint Simulations. With its new and modern facilities, CYUL was near the top of our prioritized list of projects from the very beginning. 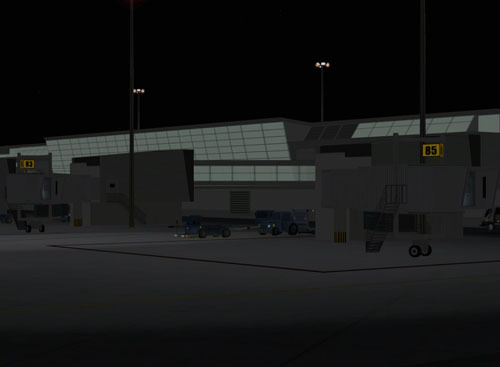 We believe that we have captured the look and feel of this important airport. We invite you to enjoy this scenery, especially during winter when rain and snow become ingredients for what are sure to be exciting flying adventures. 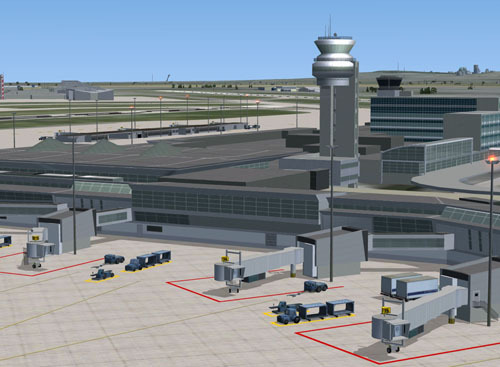 Custom-made, optimized Gmax models of most buildings within the airport grounds including the main terminal and four piers, the Bombardier and Air Canada complexes and other cargo and general aviation facilities. * AI parking spots were fitted to accommodate specific aircraft models (including default MSFS aircraft) and we cannot guarantee that they will accommodate your favorite AI models. Customization and tweaking of the AI mapping file will most likely be necessary. Most gates were assigned to airlines operating at CYUL in the most accurate configuration possible based on information available to the public. Parking spot specs and gate assignments are available in the enclosed documentation. 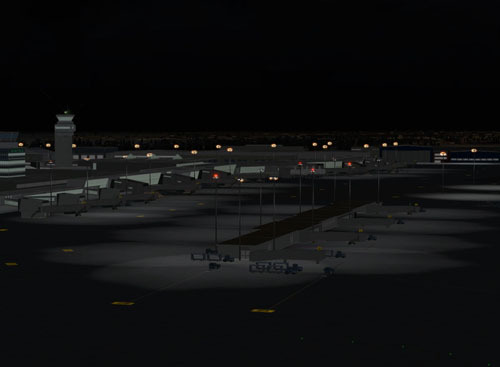 IMPORTANT NOTE: The FSX version is not compatible with the default animated aircraft service vehicles. Gate configuration is depicted accurately. In most cases, the available space around the parked aircraft cannot accommodate the default vehicles. An alternate set of static vehicles is provided.